An Auckland to Paihia road trip is a great way to explore the North Island of New Zealand. In just 3 days, it's possible to discover all the things to do in the Bay of Islands and the surrounding area. We set out from Devonport with our sights on Paihia town. How far are the Bay of Islands from Auckland? Optimistically, Google Maps thinks it's about a 3 hour drive. 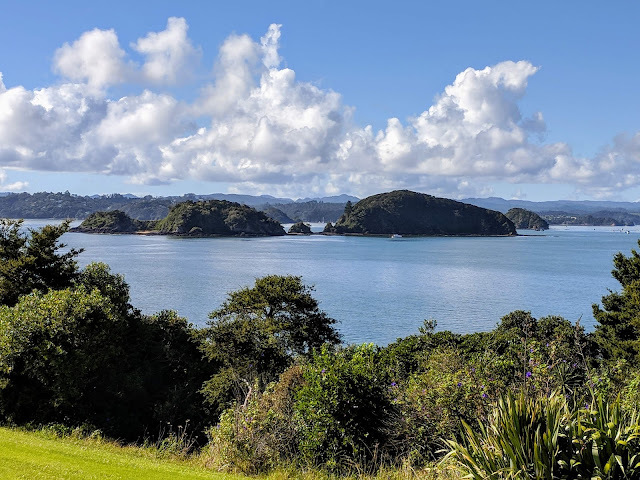 In reality, driving between Paihia and Auckland can take nearly twice that long once you factor in slow and winding roads and all the stops you'll want to make along the way. We left Devonport at 10:15 and got to Paihia at 5 pm. 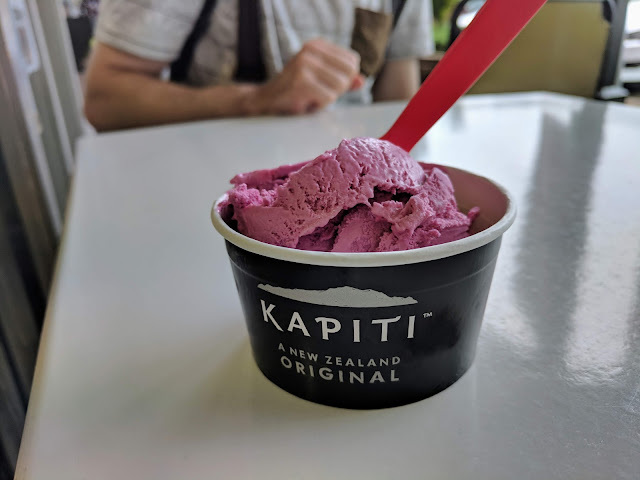 Read on for cool places we found on our Auckland to Paihia drive and things to do in Russell, Paihia town and other nearby places in New Zealand's Bay of Islands. 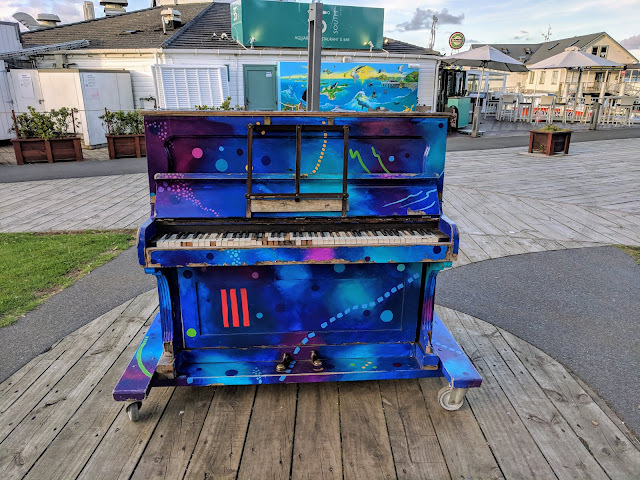 The town of Warkworth is located about an hour north of Devonport and was a good place to stop and stretch our legs on our Auckland to Bay of Islands road trip. We took a walk along the Mahurangi River watching ducks revel in the small rapids. We noticed some thin metal artwork hanging among the trees. We stopped at the Riverview Cafe for a relaxing coffee on the terrace before hopping back into the car and continuing our journey toward the Bay of Islands. If beautiful scenery is your thing, Mangawhai Heads is a 'must do' on the drive between Auckland and Paihia. We climbed up above the beach on the quiet Goldschmidt Track and had a small picnic while looking down on the idyllic scene below. We descended from the trail to the beach for a short walk among the rocks. My favorite part was watching the seagulls wait patiently near a fisherman, hoping for some scraps from the catch. Even with just two short stops, it was early evening by the time we completed our drive from Auckland to Paihia. The permanent population of Paihia town is less than 2000 people but the place hums with visiting tourists. 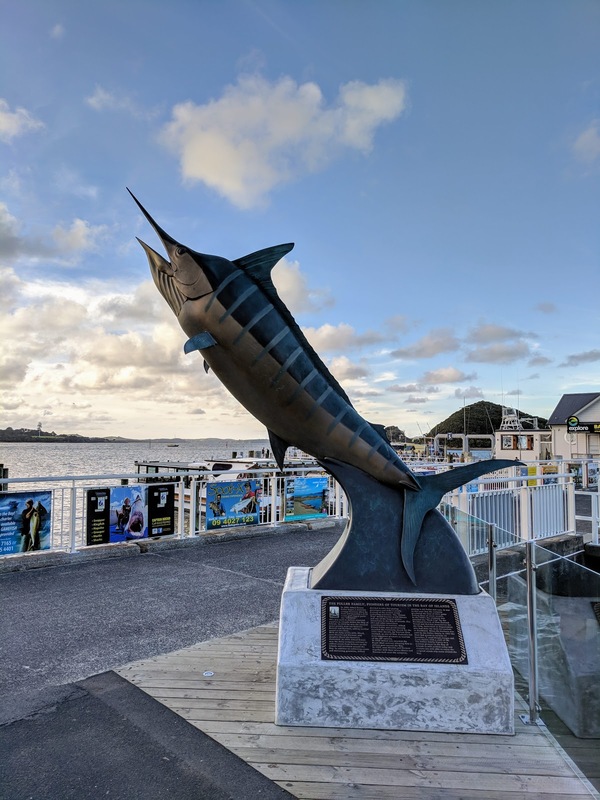 We walked along the waterfront of this Bay of Islands town which features a giant swordfish. Checking out over-sized roadside attractions is one of my favorite things to do in New Zealand. We also discovered a well-worn but colorful piano just inviting Paihia visitors to strike up a tune. We sat down to dinner at CBK - Craft Bar and Kitchen. We talked to one of the boat operators nearby about possibly booking a tour to see dolphins and whales in the Bay of Islands. We were torn because the weather forecast was iffy and rough seas were a possibility. In the end, over a steak sandwich and salt and pepper squid washed down with Doris Plum Cider from Good George and an apple cider from Moa, we decided against taking a boat to the Hole in the Rock. It turns out that was a good decision as you'll discover below. Russell is just a short ferry ride (about $12 NZD at the time of writing) from Paihia and is known as the first permanent European settlement in New Zealand. Apparently Russell was quite a raucous place back-in-the-day with plenty of sailors, drinking, and houses of ill-repute. What are the things to do in Russell today? A better question would be: what are the best things to do in Paihia when it's raining? The answer is: skip the boat tour to the Hole in the Rock and walk and eat your way through Russell while dancing between the raindrops. We booked a round trip ticket with the Happy Ferry and spent a pleasant (albeit wet) morning exploring Russell. You'll find quaint wooden structures painted white and flowers glistening with raindrops as you walk around the town. If you get tired of being wet, stop into Delish Finest Coffee and Ice Cream for a scoop of Doris Plum, a popular local flavor in the Bay of Islands New Zealand. Lunch at the Duke of Marlborough Hotel is an ideal thing to do in Russell in the rain. Sit on the covered terrace overlooking the Bay of Islands. 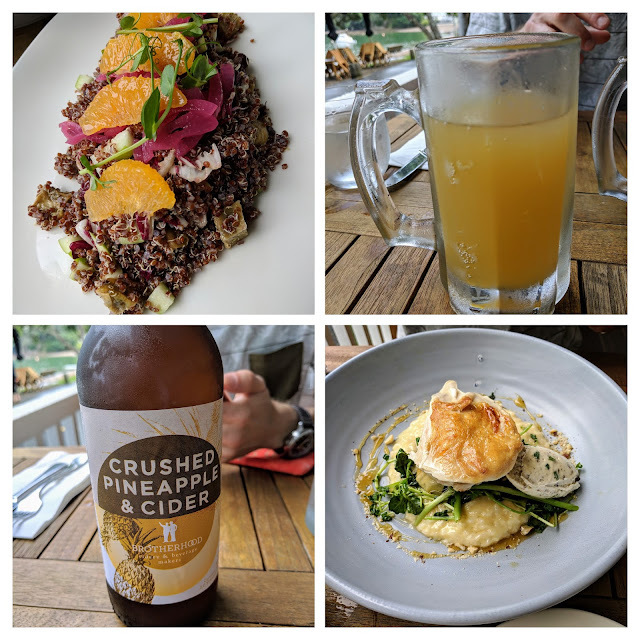 We enjoyed an orange and quinoa salad and chicken washed down with Brotherhood Crushed Pineapple Cider (very refreshing). 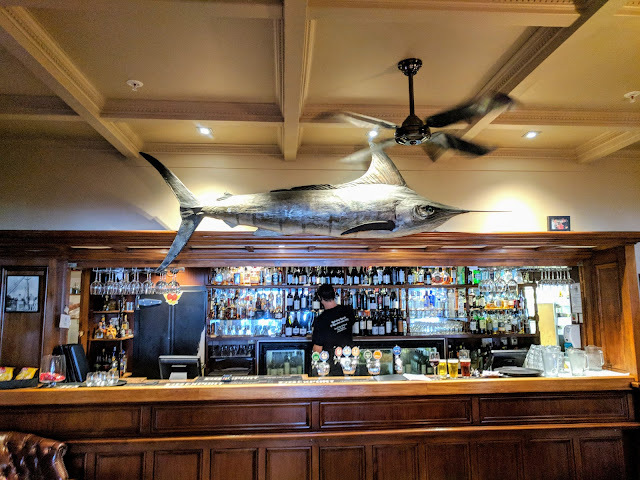 The Duke of Marlborough is the oldest licensed hotel, bar, and restaurant in New Zealand. Take some time to check out the bar and the walls plastered with historic portraits and kitsch before catching the return ferry from Russell to Paihia. After returning from Russell to Paihia, we hopped in the car for a short drive to Kerikeri. Stop in for a sweet treat at Makana Chocolates before continuing to the Stone Store. Built in the 1830s, the Stone Store is New Zealand's oldest stone building that still stands today. Take a short walk on the grounds along the Kerikeri River before embarking on the return drive to Paihia. We don't like boats mainly due to concerns over seasickness. This fact plus the potentially rocky seas led us to forgo a trip to the Hole in the Rock in the Bay of Islands. Instead, we opted to do a safer and tamer boat ride: Darryl's Dinner Cruise to Haruru Falls! We'd read great things about Darryl's Dinner Cruise. At $98 NZD per person at the time of writing, the cost is a bit steep but you do get a 2.5 hour cruise plus dinner (2 courses plus chocolate marshmallow fish upon return to the dock) and an entertaining narrative about the sights along the Waitangi River. You can also bring your own bottle of wine for a $3 NZD corkage fee which is very reasonable. 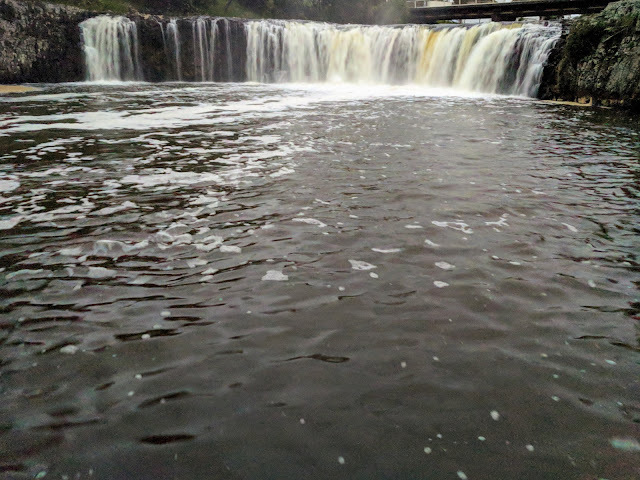 We saw mangroves and plenty of pied shags in the trees before arriving at Haruru Falls itself. Our fellow cruisers were from New Zealand, Australia, the UK, and India; about 35 people in total. At full capacity, Darryl's Dinner Cruise can seat at least twice this number. Overall, Darryl's Dinner Cruise is a fun and relaxing thing to do in Paihia in the evening. Just a few kilometers from Paihia town, the Waitangi Treaty Grounds is the site where the Treaty of Waitangi was signed between the British Crown and Maori people of New Zealand. Explore the museum exhibits which casts a critical eye on the relationship between colonizing Brits and the indigenous people of New Zealand then take a guided tour of the property. The displays and guides help visitors understand some of the controversy around the treaty and how the Maori may not have fully understood what they were signing due to nuances in translating between English and Maori versions of the treaty. 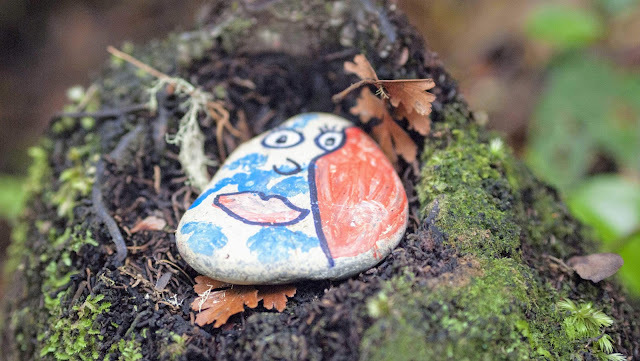 See Maori artifacts and learn about their way of life. 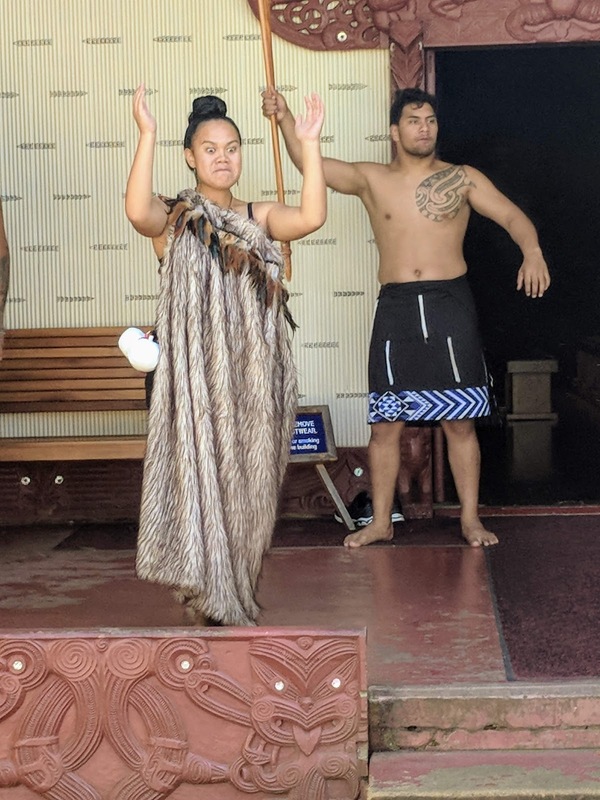 Experience a cultural performance where modern-day Maori take you back in time to the colonial period and re-enact what it may have been like when Europeans first arrived on their lands. The Waitangi Treaty Grounds is definitely a must-see destination in the Bay of Islands New Zealand. After a short 2 days in the Bay of Islands, we embarked on the return drive from Paihia to Auckland. This time, we stopped at Whangarei Falls Scenic Reserve for a hike to an impressive waterfall. 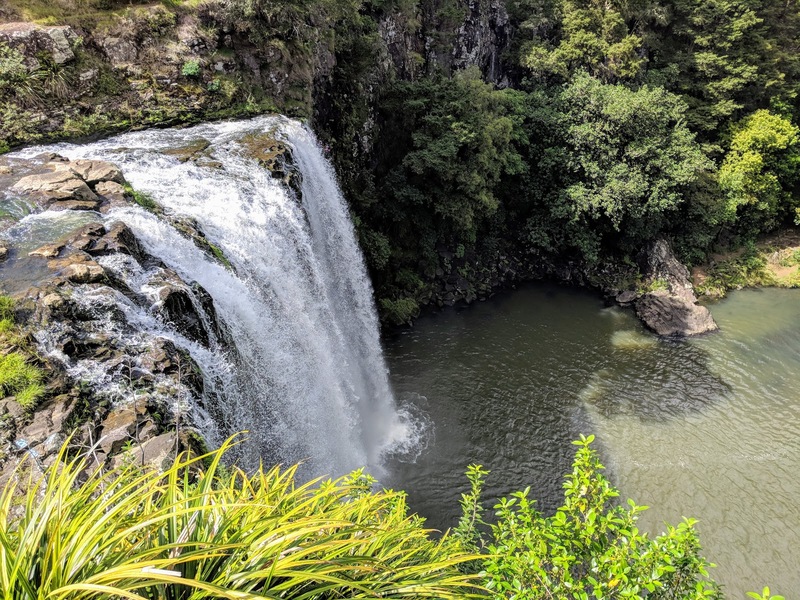 Whangarei Falls is a beautiful spot to stop and stretch your legs on the road trip from the Bay of Islands back to Auckland. 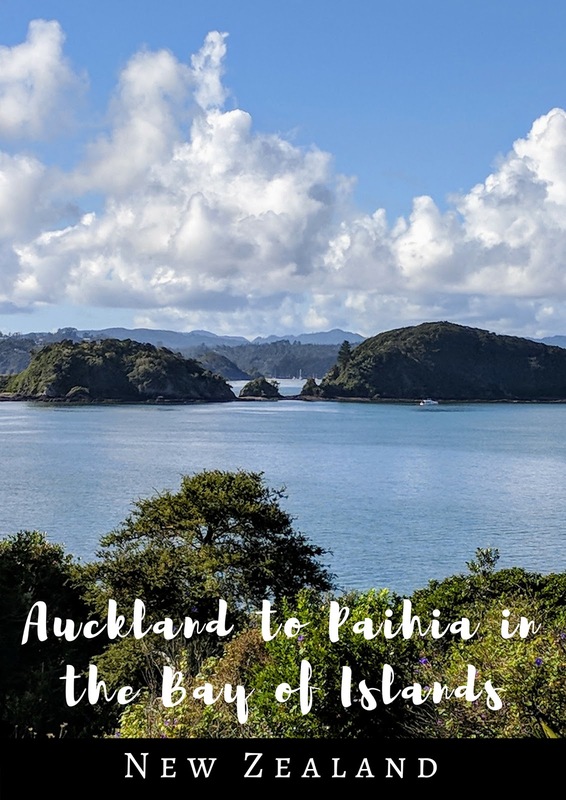 Check out this handy map for details on the sights to see from Auckland to Paihia with a focus on things to do in the Bay of Islands. Read about the drive from Auckland to Paihia on the North Island of New Zealand. Find out about things to do in the Bay of Islands on a self-drive trip.